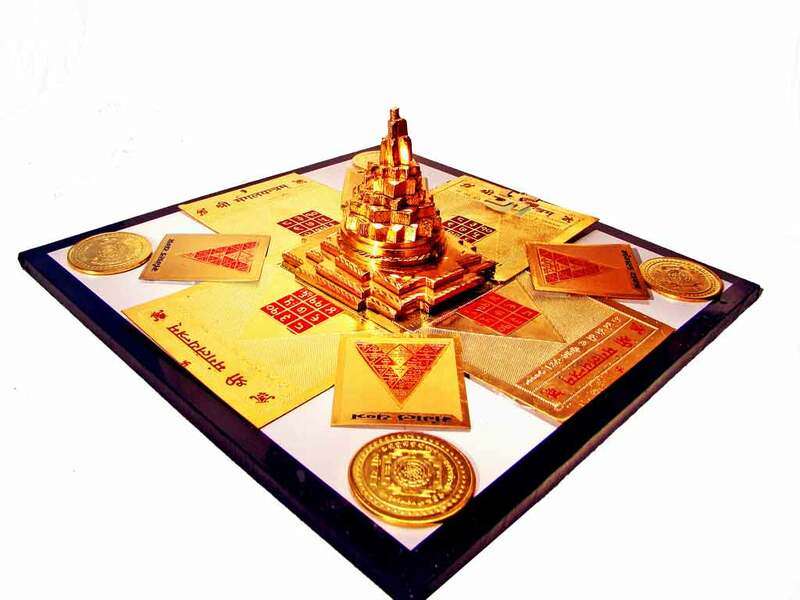 Description ↴ This Yantra is an exclusive 'Power Fortunes' design. 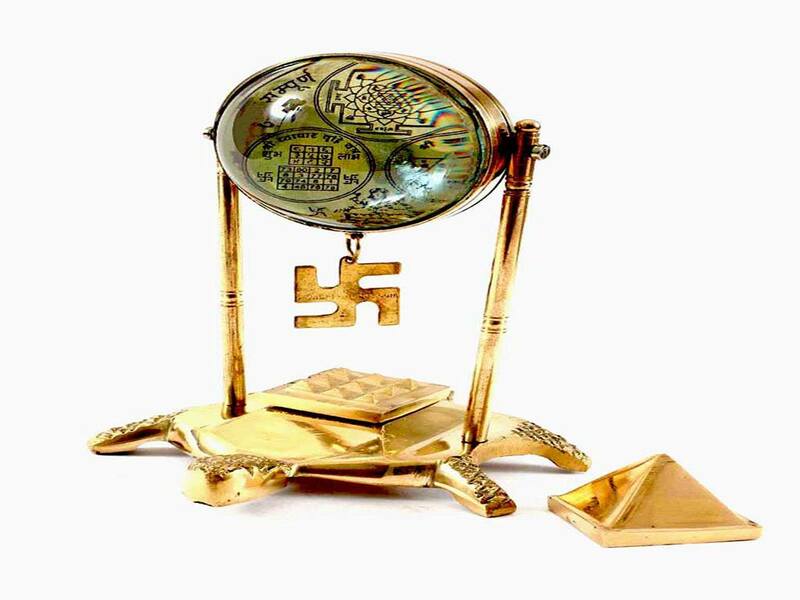 Combining the effects of the solid 'Special Eight Metal Alloy' Shri Yantra with four small Mangal Yantras, four large Mangal Yantras and four silver plated coin Shri Yantras. Provides good luck, success, wealth and harmony to worshippers.